ChicagoCop.com receives numerous e-mail requests each year for information or photos of relatives who were once Chicago Police Officers. The standard reply we send is that the only information we have is listed on our website; however there are numerous places one can search to find bits and pieces about the person they’re looking for. Follow these tips on how to find information on a friend or relative who was a member of the Chicago Police Department. We have compiled the below advice to get you started with your search and answer some of the most frequently asked questions. The first place to check is with the Chicago Police Department Human Resources Division, Employment Records Section. Please note that the Department will help locate information on a family member, but may not release certain pieces of information. The police department maintains the following records. 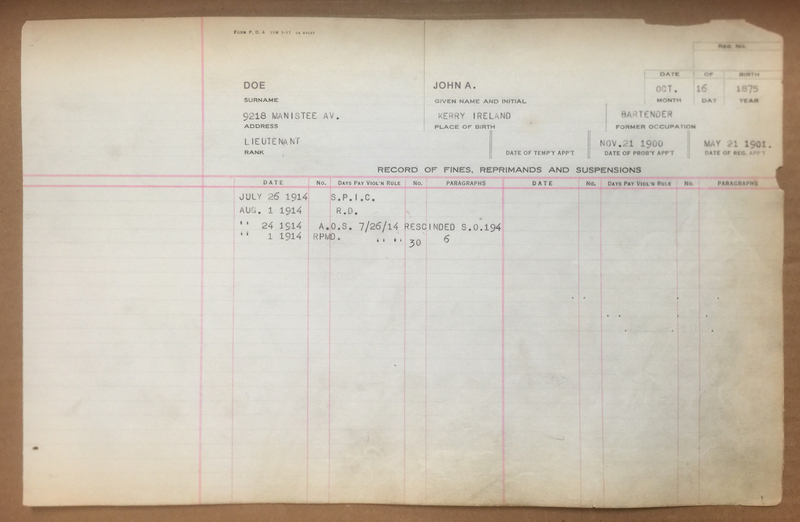 A single sheet of 8.5 x 14.0 inch paper stock, double sided, containing information on Civilian and Sworn Department Members who Died (while employed), were Fired, Resigned or Retired between 1910 and 1959. Information contained on these jackets include the officers Name (Last, First, M.I. ), Address, Date of Birth, Place of Birth, Former Occupation, Rank (at time of separation), Date of Temporary Appointment, Date of Probationary Appointment, Date of Regular Appointment, Record of Fines, Reprimands and Suspensions (Date, No., Days Pay Violation Rule, No., Paragraphs), Reinstatements / Other Appointments (By Order of, Rank, Date, Order No. ), Resignation / Death / Discharged Information (Date, Cause, Precinct), Promotions and Credible Mentions. Star Numbers were not recorded on the personnel jacket. 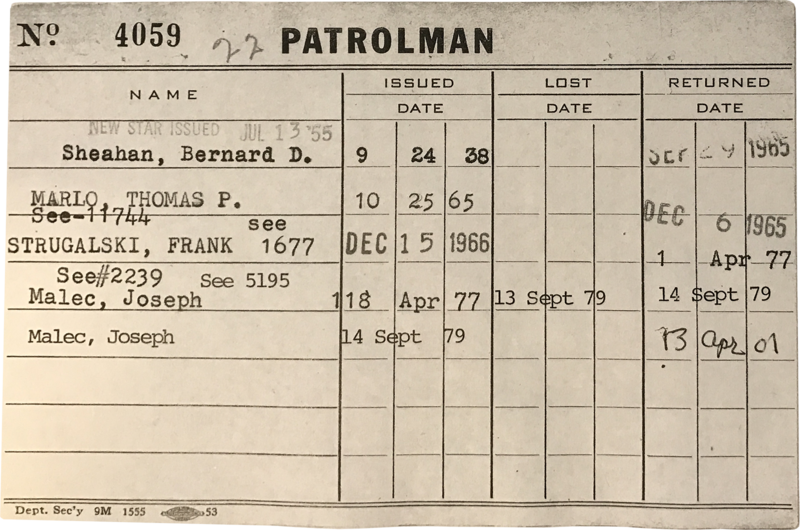 A single card of 3.25 x 7.25 inch card stock, single sided, containing information on Civilian and Department Members who Died (while employed), were Fired, Resigned or Retired between 1970 and 1989. Information contained on these cards include the officers Name (Last, First, M.I. ), Address, Date of Birth, Date of Appointment, Date of Separation (also lists the type i.e. Died, Resigned, Retired). The cards also list the Employee Number, Star Number, District, Rank and Social Security Number; however this information is not complete and is not listed on all hard cards. Beginning in 1990 the Department began transitioning to electronic record keeping. The database contains information on Civilian and Department Members who Died (while employed), were Fired, were Hired, Resigned or Retired from 1990 to the Present. Information contained in this database include the officers Name (Last, First, M.I. ), Address, Date of Birth, Date of Appointment, Date of Separation, Employee Number, Star Number, District, Rank and Social Security Number. A single card of 4.0 x 6.0 inch card stock, single sided, containing the names of Civilian and Sworn Department Members who were issued a star number between 1907 and circa 2000. Information contained on these cards include the Star Number, Rank, Name (Last, First, M.I. ), Date of Issue, Date of Loss, Date of Return. Each star number is assigned its own card and are stored numerically by rank. Officer information can only be found by star number. Cards with a black box around the star number denote an officer who was killed in the Line of Duty and their star was placed in “The Chief’s Cabinet” The Superintendent’s Honored Star Case. Unfortunately some personnel records have been lost or not returned over the years. 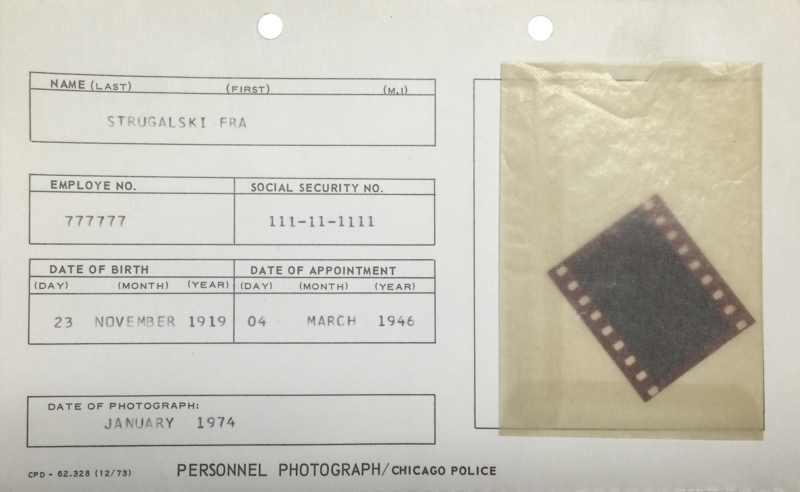 During research we discovered that Personnel Jackets from 1960 – 1969 were taken by the Federal Government from the old Chicago Police Headquarters records storage vault located at 1121 South State Street. The files were never returned according to our sources who worked there. In 2000 the Chicago Police Department moved into their present headquarters building located at 3510 South Michigan Avenue. The records in the storage vault were packed up and some were sent to the Department’s bulk storage facility, others were moved to the new headquarters building and some were destroyed. According to our sources when the Chicago Police Department absorbed the Chicago Park District Police Department in 1957, the personnel files were transferred to the Chicago Police Department. 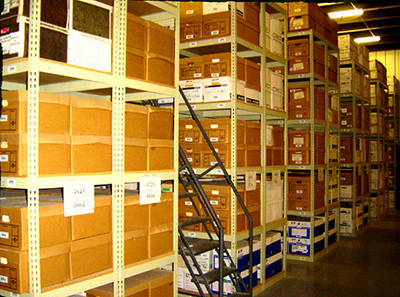 Those files were housed in the records storage vault at 1121 South State Street up until the Department opened the new headquarters building. Our sources tell us that the park district files were destroyed during the move. It is unknown whether those park district files contained the personnel files of the Lincoln, South and West Park District Police Departments which were all merged into the Chicago Park District Police Department in 1934. Hopefully the files weren’t destroyed and were sent to the Department’s bulk storage facility and one day will be found and preserved. If your looking for a photo of an officer you should first check with the Chicago Police Department Human Resources Division, Employment Records Section or the Chicago Police Department Office of Communications, Reproduction & Graphic Arts Section. The second place to check are department publications. ChicagoCop.com has archived thousands of documents relating to the Chicago Police Department and its sister agencies in our Documents Archive. We have listed some of the more relevant publications in which information about department members may be found. Information about Awards, Deaths, Promotions and Retirements are the most common type of information found in the below publications. 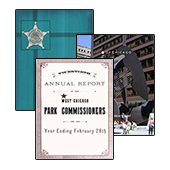 Annual Reports from the Chicago Police Department and its Sister Agencies. 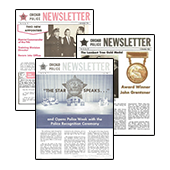 Chicago Police Newsletters published from 1960 through 1963. 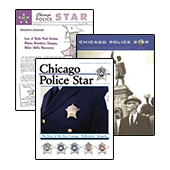 Chicago Police Star Magazines published from 1963 through 2005. The third place to look are newspaper archives. We have provided links to the top three sources for newspaper articles below. There are lots of other websites on the internet that also provide access to newspaper and publication databases. Some of the more well known ones include Forgotten Books, Google Books and Internet Archive. 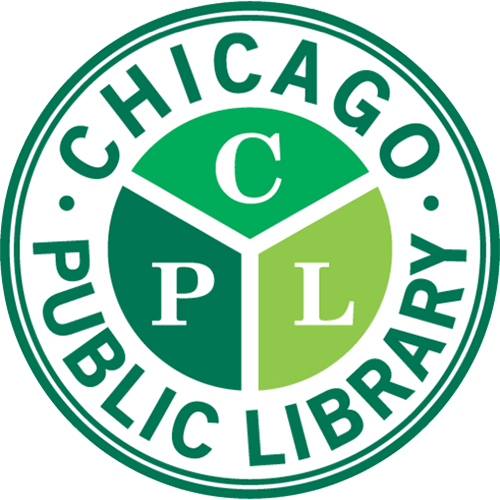 The Chicago Public Library provides free access with a library account to the Chicago Defender, Chicago Examiner, Chicago Sun-Times and other lesser known newspapers dating from 1849 to the Present. The Chicago Tribune Archives contain their most extensive repository of news, dating back to 1849. Stories, photos, comics, obituaries, classified and display advertising—all as they were presented in print. 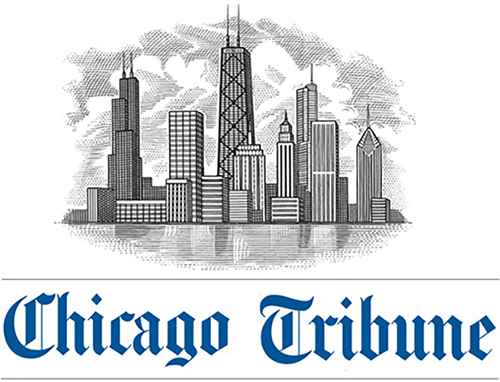 The Tribune’s digital archives are not 100% complete. With a few exceptions, the archives currently span the years 1857-1991. Each issue may be a composite of all the various editions of the Chicago Tribune published on that day; duplicate pages are typically not included. This resource is currently free to use. Use of Proquest is free with a ProQuest account, a Chicago Tribune digitalPLUS membership, a school account or business account. If you do not have access to ProQuest through your school or company, you can pay for access. Lastly the below sources may also prove useful in finding information about an officer. ChicagoAncestors.org is a project of the Genealogy and Local History section of the Newberry, an independent research library in Chicago. The project is intended to help genealogists and local historians discover and share historical information about Chicago. To share Chicago’s stories, serving as a hub of scholarship and learning, inspiration, and civic engagement—is the foundation of the Museum’s programs and events, exhibitions, educational initiatives, publications, and collecting activities that touch the lives of all Chicagoans and help them make meaningful and personal connections to history. An online database of 11,000 homicides maintained consistently and without interruption by the Chicago Police Department over the course of 60 years, from 1870 to 1930. 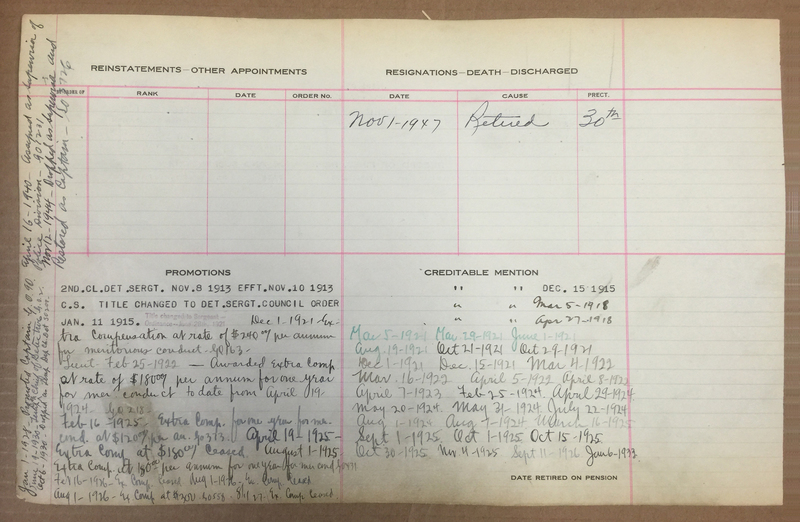 Kept without interruption by a single institutional record keeper, these files are an important resource for the study of homicide, crime, urban development, and the police. A project of the Chicago History Museum, the Newberry Library and Northwestern University, this online version of the award-winning print encyclopedia is a first stop for research into any topic on Chicago’s past.